The Office of Public Affairs provides a range of services to print and broadcast media requesting information about the Law School, its faculty, research, students, staff, and programs. Please direct all media inquiries and faculty interview requests to publicaffairs.law@yale.edu. Please include in the body of your email the name of your publication, deadline, and the specific issue you are seeking comment on. During normal business hours you may also call (203) 432-8464. Contact us via email after hours and on weekends for any urgent requests. View a list of staff contacts here. 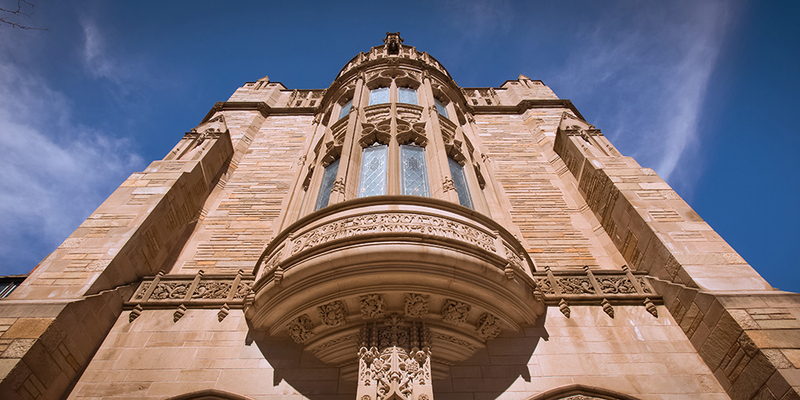 Read about Yale Law School faculty in the news. See the latest updates about Yale Law School students and faculty. Watch profile videos and lectures captured throughout the year. It is permissible to shoot still photographs or video of Yale Law School exteriors. However, permission must be granted by the Office of Public Affairs to shoot still photography or video footage inside the Law School. Once permission is granted, the Public Affairs Office will assist with parking, building access, and other logistics. The Office of Public Affairs maintains a small collection of photographs of the Law School and its faculty. Please credit the Yale Law School Office of Public Affairs when using these images. Yale University has a satellite uplink studio for live and taped transmissions and a digital (ISDN) radio studio. Please contact Philip Kearney at (203) 432-2658 for more information. Yale Law School is one of the world’s premier law schools. It offers an unmatched environment of excellence and educational intimacy in the form of world renowned faculty, small classes, limitless opportunities for clinical training, and strong encouragement of public service.